Special thanks to Prevention Connection - Public Safety Task Force for their contributions to this post. If we treated fire and life safety education like a business, we as a fire service would be miles ahead. Businesses stay in business by offering solutions to known problems, or to problems their customers might not even know they have. As a fire service, we are pushing ourselves out of the business by not providing solutions to a very real and well known problem, the fire problem! We all know it is there, but as a “business” not always do we deliver the best solutions to our “customer”. Let’s do something big and take appropriate measures to better serve and protect communities! We can save time and money by tapping into readily available resources that meet the critical need and address the ‘fire problem’. We also have access to codes and standards like NFPA 1730, to help us develop our own cutting edge public education programs. 1. Collect the data. Data can be collected from a variety of sources and should include local population and census information, socio-econcomic indicators, fire department run reports, and local or national trends. 2. Compare the data. The collected data should then be analyzed to find trends and common, or frequently, occurring incidents. These incidents can then be broken down by population data such as age group, socio-economic status, and geographical area of occurrence. 3. Identify the risks. The risks that the data shows will become the basis for your public education program. Public education efforts should be designed to reduce or mitigate these community risks. 4. Identify root causes. The public education program should address the actual root cause of the problem, not just the symptoms. To get to the root cause will require more in-depth analysis of the identified risks. 6. Develop strategic partners. Reach out to other public and private organizations in the community. They will have a shared interest in your program and may provide additional resources and/or funds. 7. Develop the program. Create the public education programming, elements, and deliverables. Prior to spending a large amount of time creating a program from scratch, explore the many ready-made resources that are available. Get the program started and out to the public, do not get stuck in a planning and preparing mode! 8. Implement the program. Deliver the program. Don't worry about everything being perfect, just get your program to the audience that needs it. You can always make changes and tweaks as the program grows. 9. Evaluate the process and impact measures. Your program should be regularly evaluated to ensure that you are reaching your target audience, and the message you want conveyed is being received. 10. Modify as needed. Within a set time-frame the program should be reviewed to determine its impact. If changes to the message, audience, or delivery are needed then make them. NFPA 1730 addresses the staffing needs and personnel requirements for fire prevention organizations conducting fire investigations. This standard places a large emphasis on utilizing the responding units and company officer as a resource to conduct the preliminary investigation. If a more in-depth investigation is needed or a crime has been committed then personnel assigned with this specific task can then be called. NFPA 1730 refers the reader to the qualifications of NFPA 1021, Standard for Fire Officer Professional Qualifications which outlines the knowledge, skills, and abilities required for a company officer to conduct preliminary investigations for origin and cause. Knowledge of arson methods, fire causes, fire behavior, and documentation of investigative procedures. Know when to delay overhaul operations. Ability to properly secure an incident scene. Ability to recognize and protect potential evidence from damage and destruction. With stretched budgets and minimal staffing, it may be best for departments to train and equip company officers (and even lower ranks) to conduct these investigations. Below are some resources that you may want to consider as you develop a department training program. For fire prevention organizations tasked with conducting plan reviews, NFPA 1730 lists 9 plan review elements. This post will examine each of these and provide links to additional resources. 1. Fire Protection Environmental Impact (Feasibility Study). The feasibility study should examine such items as response times for fire/emergency services, communications capabilities, hydrants availability, and water main requirements. Any special considerations, and fire protection alternatives or equivalencies, should be documented and reviewed. 2. Water Supply and Fire Flow. These should be conducted to ensure that the available water supply requirements can be met. If they cannot, other options should be considered and decided upon at this time. 3. Emergency Vehicle Access. This should be based on the largest piece of apparatus that the responding department may have to use. Driving surfaces, widths, overhead clearances, loads, and turn-around's, and dead-ends should be considered. 4. Construction Building Plans. 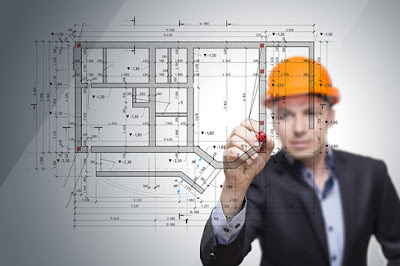 This element of plan review should be conducted to determine code compliance, occupancy classifications, construction type, required fire protection features, fire resistance ratings, interior finishes, and any special hazards or structures. 5. Certificate of Occupancy Inspections. These inspections are carried out throughout the project and can include all the trades (plumbing, electric, HVAC, etc.) and fire protection systems. These inspections ensure that what has been approved on the plans is what is being installed in the building. 6. 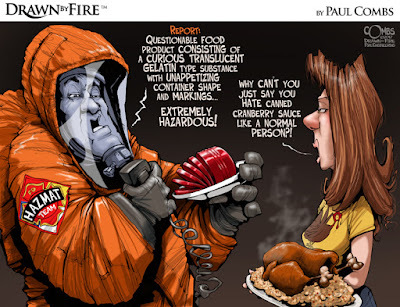 Hazardous Materials and Processes. Any hazardous materials or processes should be reviewed for proper storage, handling, transfer, containment, emergency planning, and fire protection. 7. Fire Protection System Plans. These reviews confirm that required systems are in place, designed properly, and work for the structure. These systems include, sprinklers, alarms, smoke control, fire pumps, hood systems, kitchen hoods, elevator recall, and similar items. 8. Fire and Life Safety Systems Field Acceptance Inspections. These final inspections are in place to visually witness the correct operation of the fire protection systems, and confirm that all systems are in place and functional in accordance with codes, standards, and approved plans. 9. 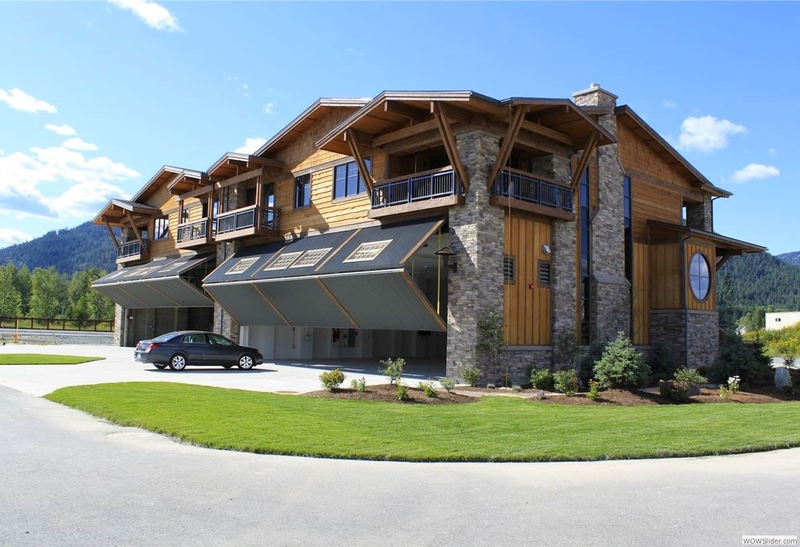 Certificate of Occupancy (CO) issued. This is the main objective for any building project. After all work is completed, and all items are confirmed to be installed and functional per the approved plans, the Certificate of Occupancy can be issued, and the structure can be put into use. Fire codes and standard do not directly address the frequency of existing building inspections. How often should existing buildings be inspected? Should all buildings be inspected with the same frequency? What structure should be inspected more frequently or less frequently? What determines inspection frequency? NFPA 1730 defines these risk categories. High Risk. Buildings having a history of frequent fires and a high potential for life or economic loss; or a building in which occupants must rely heavily on the building's fire protection features, or rely on staff assistance for evacuation. Moderate Risk. Buildings having a moderate fire history and present only moderate potential for life or economic loss. Low Risk. Buildings having little to no history of fire with minimal potential for life or economic loss. Critical Infrastructure. Vital assets, systems, networks, or structures whose damage or destruction would have a debilitating effect on the community. High risk occupancies may be buildings such as apartments, health care, detention, assembly, and educational facilities. Moderate risk occupancies can be ambulatory health care, walk-in clinics, and industrial buildings. Storage, mercantile, business, and office buildings could be considered low risk occupancies. Critical infrastructure facilities are buildings such as power plants, water treatment facilities, public safety buildings, and special structures unique to the community. All the structures in the community will fall into one of these risk categories. The occupancy risk classification of each structure will be determined based on the Community Risk Assessment (CRA). Ample time should be spent on ensuring that the CRA is conducted properly. The community risk assessment sets the standard and drives the direction of the entire fire prevention organization. Determining the amount of occupancies in each category, will reveal the amount of inspections that are required to be conducted annually. From this the fire prevention organization can determine adequate staffing levels. Step 1. Conduct a CRA. Step 2. Classify the occupancy risk of each structure. Step 3. Determine the amount of inspections to be conducted annually. Step 4. Determine the necessary staffing level needed to complete the inspections. Gratitude is defined as “the quality or feeling of being grateful or thankful”. We all have much to be grateful for. We understand gratitude in our personal lives when we look at our families, enjoy our homes, and play with our “toys”. However, many of us have equally as much to be grateful for in our profession and work. We can be grateful for the people that we encounter in this career. Think of the individuals that inspired us to pursue a fire service career. Think of the officers and fellow firefighters, that have taken the time to teach, instruct, and pour into our professional development. Consider the people that we have the privilege of working side-by-side with each day. Have we expressed your gratitude toward these individuals? We can express this by writing a note of thanks, by passing on the lessons learned from the influencers in our careers, and by treating one another with respect. We can be grateful for the work place that provides us with gainful employment. It is through the opportunity to work at this place, for this company, which provides us the tools to care for our families and pursue our interests, and create incredible experiences. We express our gratitude for our work place by always acting in the best interests of the customer, and by putting the needs of all over the needs of ourselves. We can be grateful that we have the power to perform the work. Many are physically unable to work. There are still others who may not have the opportunity to engage in work or careers that they are passionate about. We have the power to do both. We are physically capable, of pursuing a career that we can be passionate about. We can express our gratitude for the power to perform by fully applying our knowledge, skills, and energy to our field each and every workday. Being grateful and expressing that gratitude will bring out the very best in those we work with each day. As we celebrate this Thanksgiving holiday, take some time to reflect and express you gratitude where it may most be needed. I could really use your help, right now. In an effort to make this blog more relevant to your needs and interests I have created the 2016 Reader Survey. Would you please take a couple minutes and fill out the brief survey? By doing so you will be helping yourself, by helping me create more interesting and relevant content. Your input is important to me. The survey is less than 10 questions, and should take less than 5 minutes. Also, there are no 'required' responses to hang you up. For those of you who take the time to fill out the survey, you will be entered into a drawing to receive a package of fire prevention tools and resources. You must enter you e-mail at the end of the survey to be eligible for this. Thanks in advance for your assistance in this! For the pilot, there must be nothing like walking out of your back door, into your hangar, and taking flight from your “garage”. The popularity of this lifestyle is evidenced by the more than 600 fly-in, residential airparks located throughout the country (see, www.livingwithyourplane.com). The living space and hangar space are required to be separated by a minimum of 1-hour fire-resistance rated assembly. (2) Means of egress are required from the hangar area. Hangar building systems (electricity, plumbing, HVAC, etc.) are to be independent from the living space/dwelling building systems. Smoke alarms are required to be installed throughout the structure. The hangar area is required to have a minimum of (1) smoke alarm. The hangar and dwelling smoke alarms are to be interconnected. *This definition is not intended to limit the size of a residential hangar. Hangars that exceed these height and area requirements can no longer be classified as a “residential aircraft hangar”, and must be protected and built in accordance with the requirements of NFPA 409. This requirement for third party special inspection is not going to mean that EVERY project needs this level of scrutiny. The building code clearly relegates this to three types of buildings. 1) High-rise structures 2) Risk Category III 3) Risk Category IV. Don’t go break out your code book here. I promised to save you from that, so let’s break this down a bit. Lest we risk being called out for plagiarism, please know we give credit to the IBC for items in underlined bold italics. First, the term high-rise conjures up a mental image for most people, but let’s be clear about what the term actually means. A high-rise structure is defined by the code as a building with an occupied floor located more than 75 feet above the lowest level of the fire department vehicle access. This means that you can take the same building and put it in a different jurisdiction and based on the fire fighting equipment, it will be considered a high-rise structure in one jurisdiction but not in another. The occupancy load will vary based on the use of the building, but also because of the familiarity and agility of the occupants. For example, people who may be in a public assembly building are less likely to be familiar with the various ways to enter and exit the building, as compared to the people who might be in a building for adult education. And while the occupants of an Elementary or secondary school are likely to be very familiar with the building they are less likely to be expected to exit the building safely an emergency. Additionally occupants of Group I-2 (hospital) are likely going to need assistance to evacuate a building and it’s very likely you don’t want occupants of I-3 (jail) structures being able to freely evacuate a building. If there is a fire in any of these types of buildings you can see that there is a substantial hazard to human life in the event of a failure. The difference between Risk Category III and IV is that IV buildings are considered essential to the community in which they serve. Schools in a community are essential to that community but in the event of a fire the children can still be educated in a different setting until the school is repaired. However if that same school were designated as an emergency shelter then it would fall into risk category IV because now it is considered essential to the community. That covers where third-party special inspection is mandated by the building code. That said however, a jurisdiction can require a third-party special inspection of fire stop on any project where they may feel they have a shortfall in either manpower or expertise. This can even be required by a jurisdiction still on one of the earlier codes (2009 or earlier as this requirement first came about in the 2012 code body). A jurisdiction could even require special inspection of a specific construction element if they wish to. One example could be requiring a third party inspection for grease duct wrap on kitchen exhaust ducts. Though it is not required in the codes, it could still be a jurisdictional requirement should it be deemed necessary in a particular jurisdiction. Some jurisdictions have required this even prior to the creation of the ASTM standards for inspection of firestop; in fact to date there is no similar standard for the inspection of grease duct wrap. Read more at the Halpert Life Safety Consulting blog. 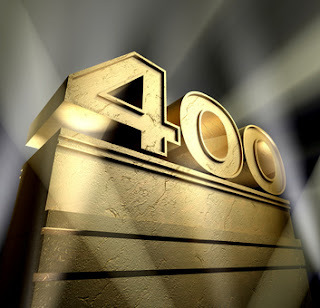 TheCodeCoach.com has hit a benchmark of 400 published blog posts. Below is a list of the Top 10 most viewed. For a complete list of books and articles visit the 'Publications' page. What in the HDPE is going on? Chapter 5 of NFPA 1730 outlines the requirements for the conduct of a community risk assessment (CRA). The CRA is the tool that is used to determine the priorities and strategies of a the fire prevention organization. The CRA can be conducted in 3 steps. Analyze Data. After the above information has been gathered, the data must be analyzed and evaluated. This analysis should be applied to identify specific risks the community is exposed to. NFPA 1730 recommends the use of a risk assessment matrix. The matrix is a visual representation that classifies hazards based on probability and impact. Another type of risk assessment matrix prefer presents hazards and risk level in a numerical format. I have written extensively on, and utilized, this numerical assessment matrix format. Read more about this method at, Fire Risk FAQ and Conducting the 3 Step Risk Assessment. You can also take my free on-line course, Risk Assessment Workshop. Develop Strategy. After you have defined your community needs, and identified risks and hazards, a strategy for prevention and mitigation can be developed. This strategy is referred to as a community risk reduction (CRR) plan. The CRR outlines the programs and strategies that will be utilized to reduce, mitigate, or eliminate the risks posed to the community. The CRR will be different for every community common elements include, existing building inspections, plan review, origin and cause investigations, and public education. It is essential that a CRA be conducted. It is only through this analysis that fire prevention organizations can be effective. A valuable tool for assisting departments with the CRA is the on-line Community Risk Assessment Guide, created by Vision 20/20. This guide can be accessed at riskassessment.strategicfire.org. TheCodeCoach.com has created an information page at nfpa1730.info. This page provides links and resources related to NFPA 1730, Standard on Organization and Deployment of Fire Prevention Inspection and Code Enforcement, Plan Review, Investigation, and Public Education Operations. 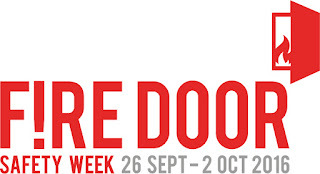 The week of October 9-15 will be nationally recognized as Fire Prevention Week. The theme this year is “Don’t Wait – Check the Date! Replace Smoke Alarms Every 10 Years”. Research conducted by the National Fire ProtectionAssociation (NFPA) has shown that a large majority of the population are not aware of the need to know the age of smoke alarms or that they must be replaced every 10 years. Fire Prevention Week has been observed every October (always the week of the 9th) since 1922. The NFPA established this week to commemorate the Great Chicago Fire of 1871. This fire, rumored to have been started by Mrs. O’Leary’s cow, claimed more than 250 lives, left 100,000 homeless, destroyed more than 17,400 structures and burned more than 2,000 acres. For more Fire Prevention Week information and resources visit, www.fpw.org. Commissioning is a "process that will ensure fire protection and life safety systems perform in conformity with the design intent". NFPA 3, Recommended Practice for the Commissioning of Fire Protection and Life Safety Systems, creates a 4-phase plan to commission new structures. Each phase has several items that must be completed in order to move on to the next phase. Annex A of NFPA 3 provides a workflow diagram of what must take place in each phase of the project. This is helpful to the commissioning team to ensure that all items are completed. For an introduction to commissioning read, Commissioning New Occupancies. If you are new to commissioning, or a building owner that is thinking about commissioning, what can you expect? What does the commissioning look like? What is involved in each phase? The below layout provides a proposed commissioning schedule and agenda to help understand the time commitment and team involvement that will be required. For an overview of the documents listed here read, The 5 Documents Commissioning Requires. 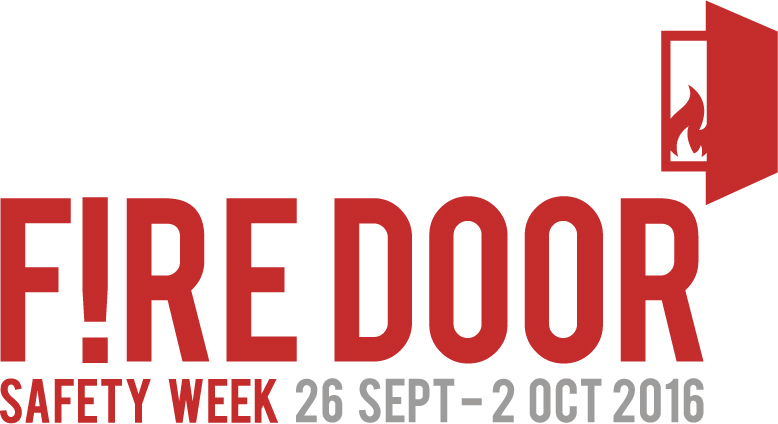 For updates, resources and events visit, www.firedoorsafetyweek.co.uk, follow Fire Door Safety Week on Twitter, and search for tweets with hashtag, #firedoorsafetyweek. Fire Doors? What's the big deal?